6) In the example above, Photoshop was smart enough to determine that the Height should be 100 pixels when I entered 100 for the Width (original image was 200 x 200 pixels). 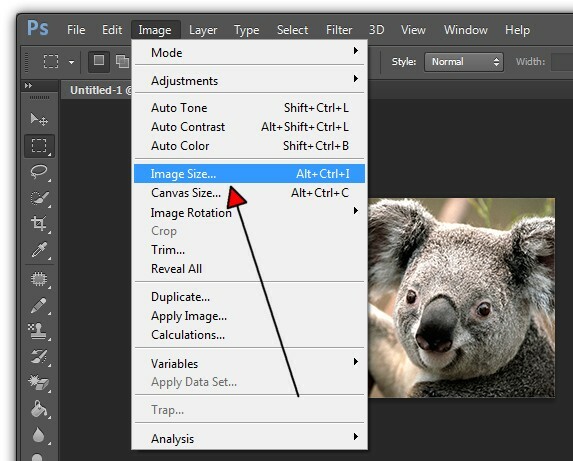 The "Constrain Proportions" check-box tells Photoshop to resize the image proportionally so that it will not be distorted. When this check-box is checked, you can also enter the Height and Photoshop will figure out the Width for you. Notice that in the Pixel Dimensions section, it also tells you the file size after resize (29.3 KB). The file size before resize was 117.2 KB. 9) You can further optimize your resized image by checking the "Resample Image" check-box and choosing a resampling option that fits your scenario. For example, if you are enlarging your photo, it's best to choose the "Bicubic Smoother" option. If you are shrinking your photos, choose the Bicubic Sharper option. 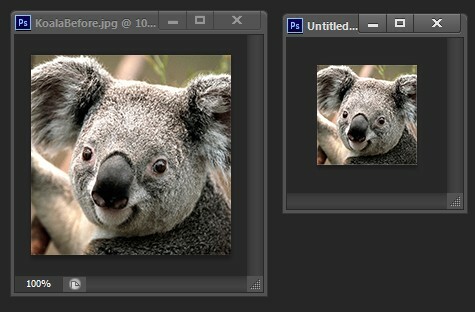 These options tell Photoshop how to best re-organize the pixels as you enlarge/shrink your photos. If you are not sure, just use the default "Bicubic Automatic."